Bryan Bedder / Getty ImagesKate Spade with her husband, Andy. She, along with her husband, Andy Spade, created her namesake brand, Kate Spade, but they hadn’t been involved with it for years. The Kate Spade brand is now owned by Coach parent company Tapestry, which purchased it along with the rest of Liz Claiborne for $US2.4 billion in 2017. She, along with her husband, Andy Spade, started her namesake brand in 1993. But they haven’t been involved with it for years. They sold their remaining 44% stake in the business to Neiman Marcus for $US59 million in 2006, which already owned the other 56%. She and Andy then became detached, even though Kate’s name is still featured in stores everywhere. At that time, Andy left to start his own creative agency and Kate became a mother full time. Fifth & Pacific (then known as Liz Claiborne) bought the brand from Neiman Marcus for $US124 million shortly after. That combined company was purchased by Coach parent Tapestry for $US2.4 billion in 2017. Kate and Andy Spade didn’t consider themselves fashion designers. They said as much in a 2013 interview with Women’s Wear Daily, in which they looked back at the fashion house they’d founded. “It’s like watching a stock,” Andy said to Women’s Wear Daily, adding that they’d stayed with the brand about five years longer than he thought they would. “We never thought about starting a company. We just said, ‘Let’s make some bags and see what happens,'” Andy said. Kate Spade has died in an apparent suicide at 55. Here’s the story behind the rise of her handbag empire. 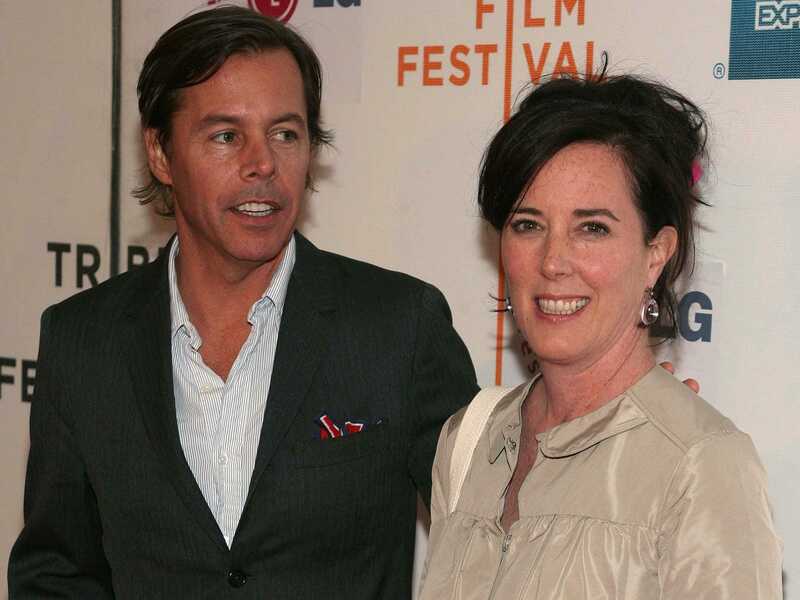 Kate Spade leaves behind her husband and business partner. Here’s what we know about their relationship.